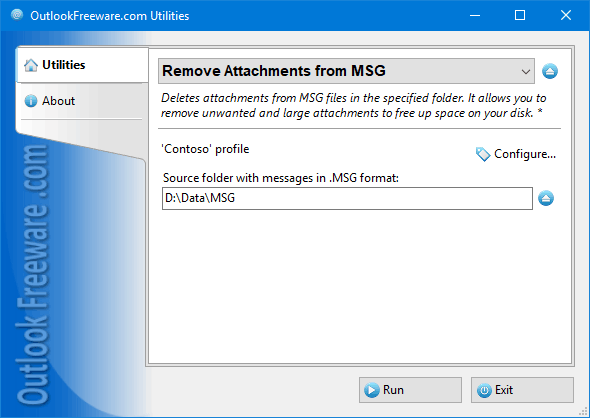 This free utility removes attachments from Outlook MSG files stored in the selected folder, including subfolders. The program allows you to specify the types of attachments to be removed and skipped and even parts of their names by mask. Additional filtering options include Outlook item types, minimum attachment size, date range, and the removal of embedded Outlook items, inline and hidden attachments.